This is the first free standing LED screen in the largely urban upper/middle income residential & commercial district of Petaling Jaya. 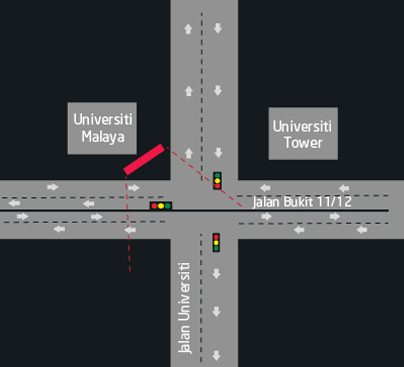 As the name suggest; it is located at the busy traffic intersection between Jln University and Jln Bukit 11/2. It is postioned primarily to capture the viewship from the high traffic along Jln University, PJ leading out to the infamous Federal Highway towards Kuala Lumpur.